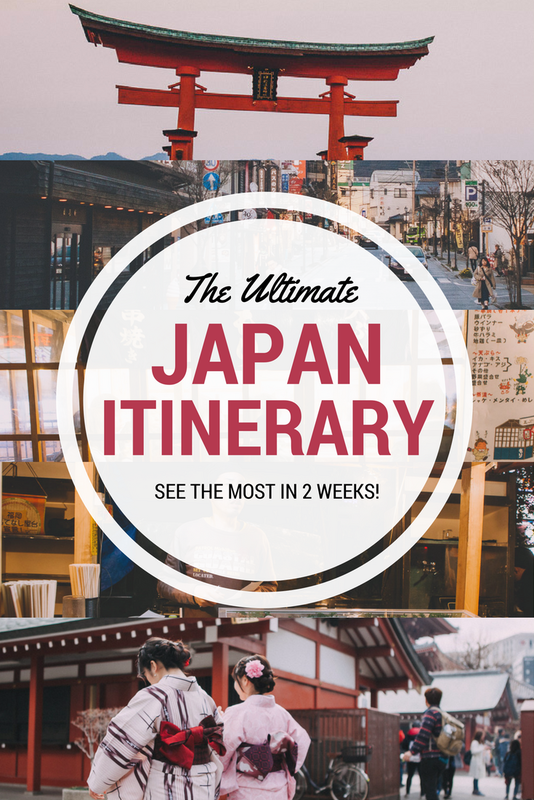 First-time traveller to Japan and want to see it all? You've come to the right place. You'll be surprised at how much you can see in 2 weeks. I've now been to Japan twice and I'm ready to book my third trip. Chris lived there for 2 years, so his advice and insight are unique. Using our combined knowledge, researching and asking local friends, I spend months building my itineraries. I like a bit of everything: temples, culture, food, fun, seaside, history and nature. 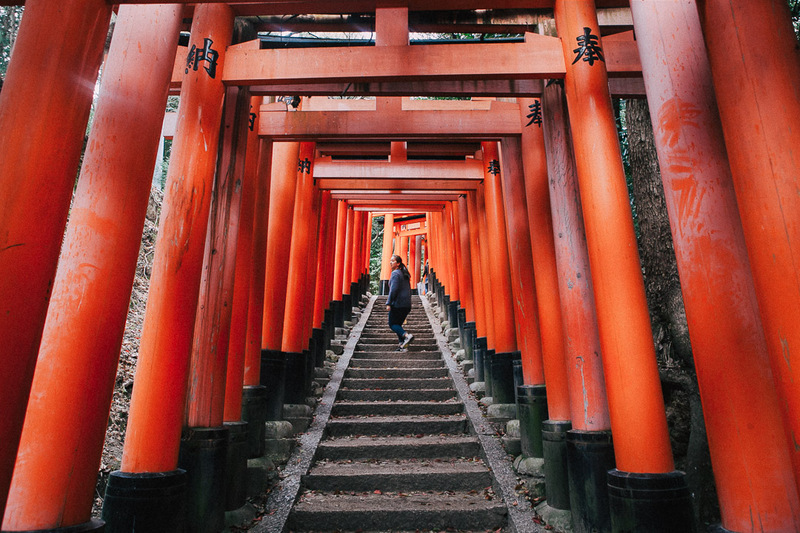 Knowing what I now know, this is the itinerary I would follow if I had to re-do my first visit to Japan - and knew it was going to be my only chance. 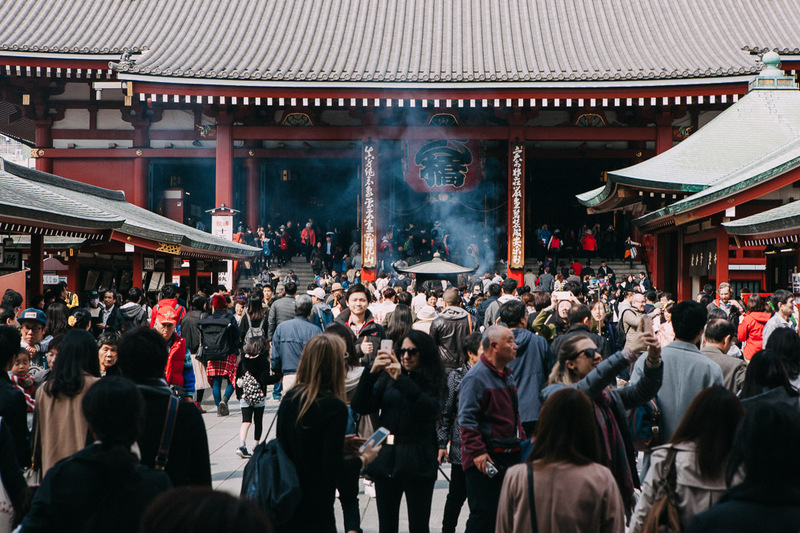 Before you read on, open a new tab to check out the 8 things to do ahead of travelling to Japan. You should do this if you think this might be your only chance to see Japan. You will get a chance to see a minimum of 10 UNESCO World Heritage sites before they become too crowded. 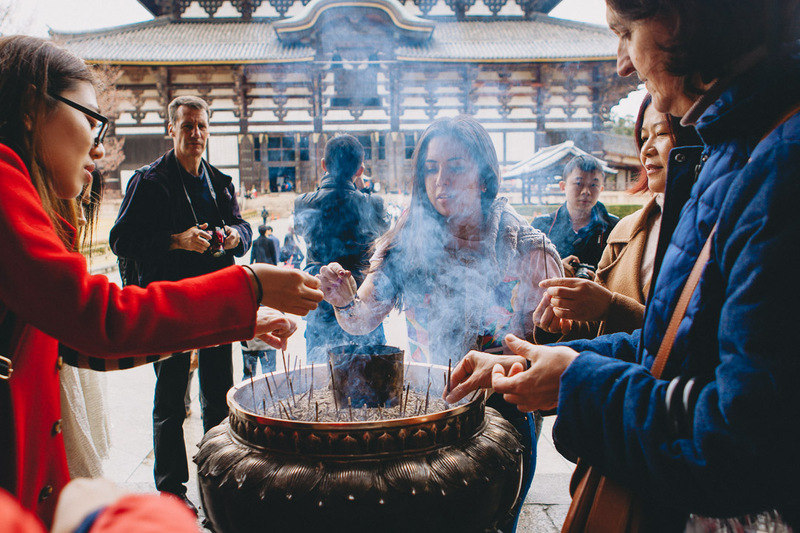 You'll experience cities, port towns, primeval forest walks, Edo-period towns, historic cities, religious temples & magical stays and some of Japan's top experiences. You'll travel between cities using super-fast trains and even though you see a lot of places, you only have 2 long train journeys (under 4 hours each), so you won't feel like your holiday is spent travelling. Trains in Japan are incredibly comfortable and very spacious - an extra bonus. Yes and no. Let me ask you this, is it expensive to see a lot of a country? How much would it cost to see a lot of the US? Travelling and accommodation cost are going to be the main costs, but if you're clever about it you can find great deals. I normally budget £1500 each (about $2,000) including flights and JR Pass (train) but I should say - we are mid-range travellers. You can do it a lot cheaper and you can do it a lot more luxurious. We like how we do it though - the right mix of quality without scrimping - yet locally spent. You'll never find us in a regular hotel in Japan - it's all guesthouses and local little restaurant. The JR Pass is a huge rail network covering pretty much all of Japan. You can buy regional ones or a National one for 7 days (about £195 / $260), 14 days (about £310 / $400) or 21 days. Getting a JR Pass for an itinerary like this is worth it because it covers most segments of travel. You'll rarely have to fork out any more money, except for the occasional super rural cheap train. You can eat well in Japan for not a lot of money. The Japanese Yelp is Tabelog. But you can also just walk around and spot where it seems busy with locals. Rule of thumb? Any place without an English menu will be ten times cheaper. Fly into Haneda. It's often cheaper to fly to and it's closer to Tokyo than Narita. 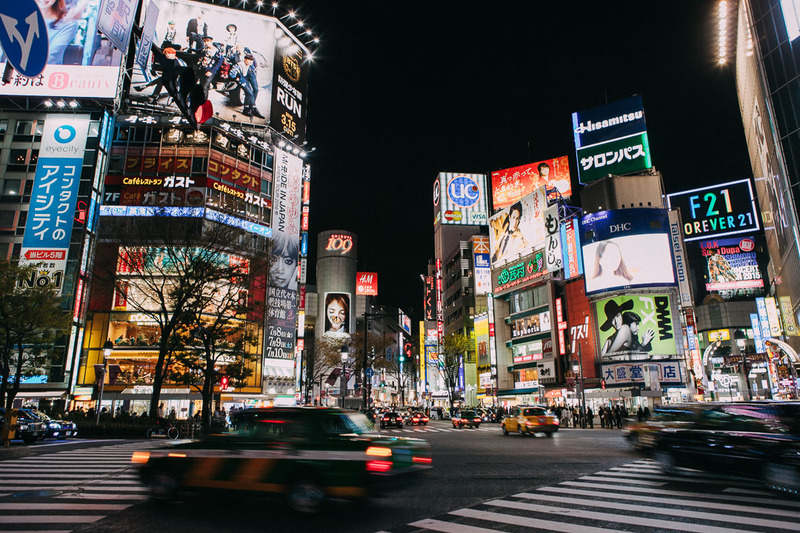 Spend your first two days in Tokyo getting to grips with Japanese technology and culture. Be amazed at their toilets and convenience shops, buy cold (or hot) Boss coffee from vending machines. 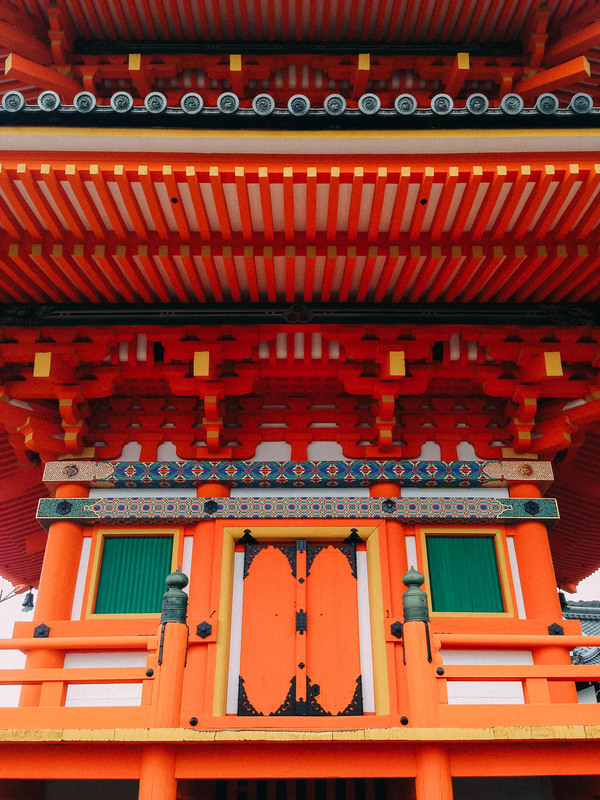 You can follow a tried-and-tested Tokyo itinerary or try my alternative guide to Tokyo. Popular Tokyo experiences include Robot Cabaret and the Tsukiji Fish Market tour. If you’re into something different, you can buy tickets for Sumo competitions or to watch the training. If you're a fan of Studio Ghibli (My Neighbour Totoro), the Ghibli Museum is highly recommended (book ahead). Don't forget to go into a Games Arcade and also have a go at Pachinko. On the 3rd day, activate your JR pass (you can activate it earlier if you are going to be using Tokyo JR lines) and take a very early train for day trip to Nikko (just over 2 hrs). 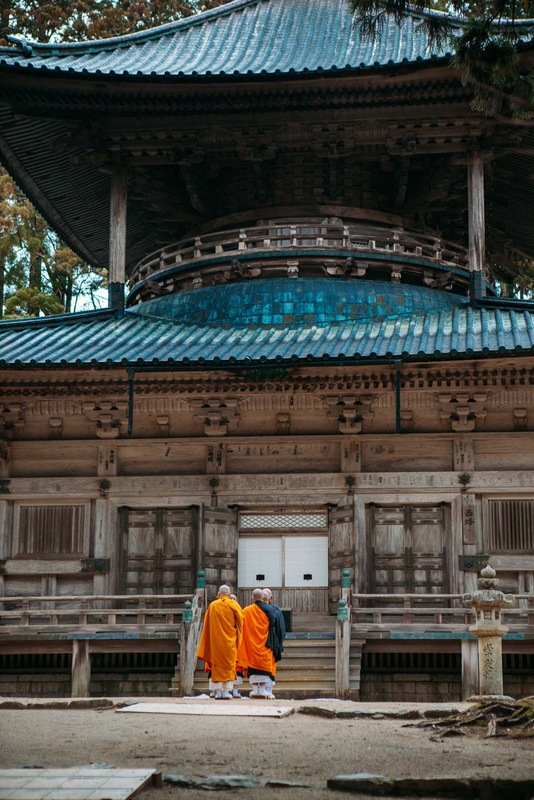 Nikko is famous for its peaceful shrines set amidst the lush forests and hilly woods. 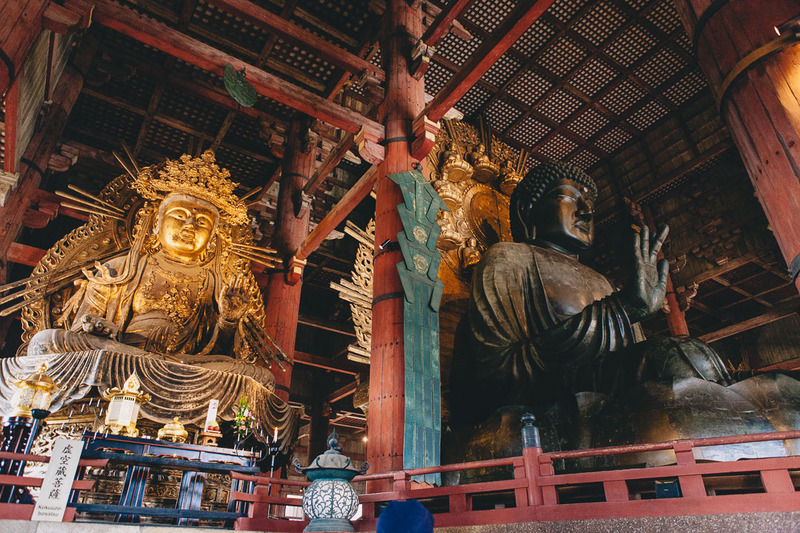 Here’s a great post on a day spent in Nikko exploring the shrines. 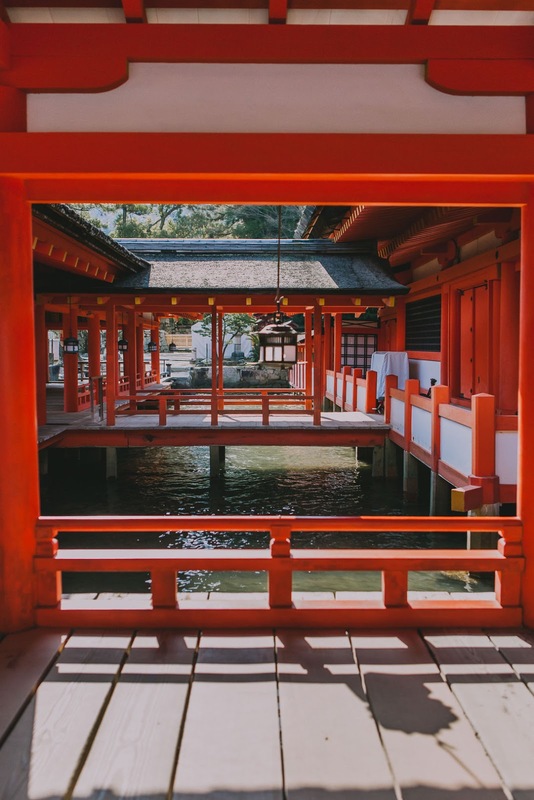 If you'd prefer a day trip with less travel Hakone, Enoshima Island, Kamakura and Yokohama are all beautiful and under an hour away. At the end of the day, head back to Tokyo for the night, but not before enjoying dinner at Komekichi Kouzushi. Staying in Tokyo is not cheap. Something you’ll find in Japan as well is that rooms are often tiny unless you book a traditional Ryokan. Emblem Hostel Nishiarai offers excellent value, beautiful rooms (individual beds and private rooms as well) and a good breakfast, if only slightly away from the hustle and bustle (but very conveniently located). Space Hostel Tokyo is very close to the main Tokyo temple of Sensi-ji and offers simple rooms with bunk beds but no meals on site. It is also very highly rated by couples. Finally, Good Diner Inn Copain is superbly rated by travellers because of its cleanliness, friendliness and amazing breakfast at super, super cheap prices for a bunk bed. On day 4 jump on a train to Matsumoto (just over 3 hrs). Arriving in Matsumoto take it easy. 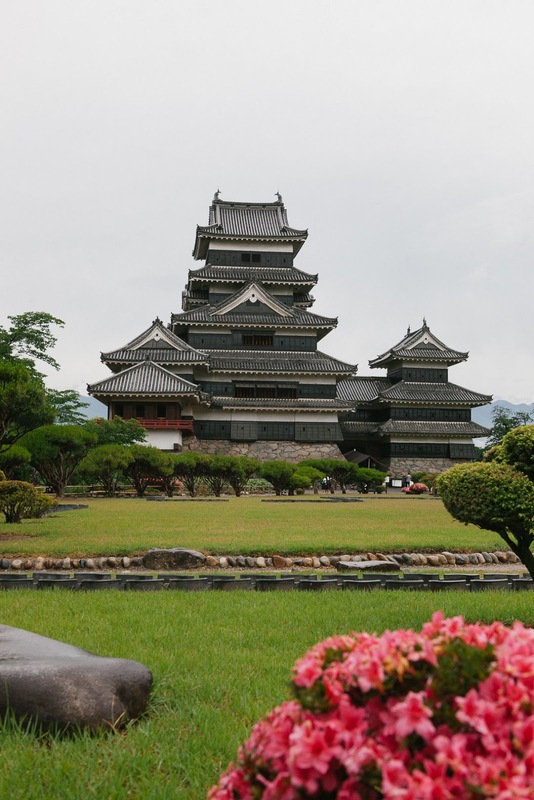 Take a stroll, relax and visit Matsumoto Castle – one of Japan’s most beautiful original castles. Get a free tour guide in English. There will be volunteer guides and no tips are allowed (you can pay with smiles!). Lunch on delicious and fresh handmade Soba noodles at top-rated Kobayashi Soba or even better, at そば処 吉邦 (you're going to have to google that). This one is next to the Castle, is locally-owned by a couple and they make the best Soba. After lunch go to the Matsumoto City Museum of Art. 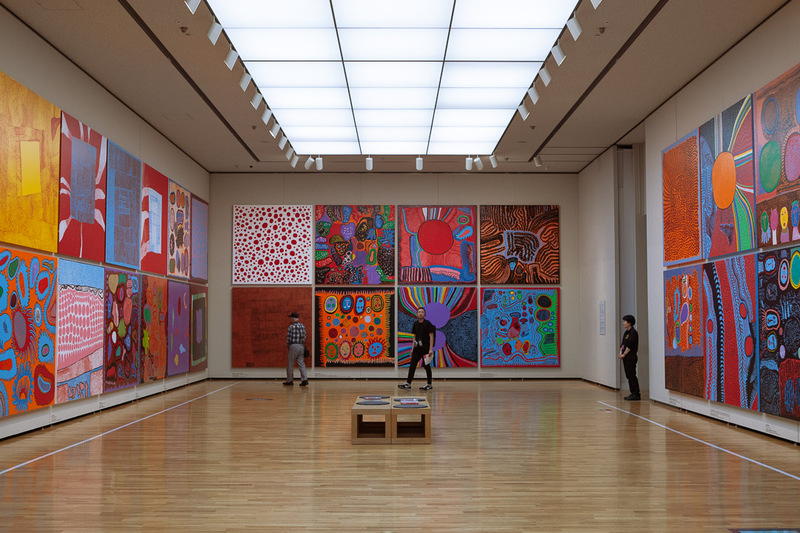 Matsumoto is the home of internationally renowned artist Yayoi Kusama, and they'll have an exhibition that will turn your perception of art upside down. You can't take photos of the more intense-psychedelic ones. But the exhibition spans three floors and there's a great chance you won't have to share it with many people. Matsumoto really is the friendliest town! The next day take a day trip to the Kiso Valley. 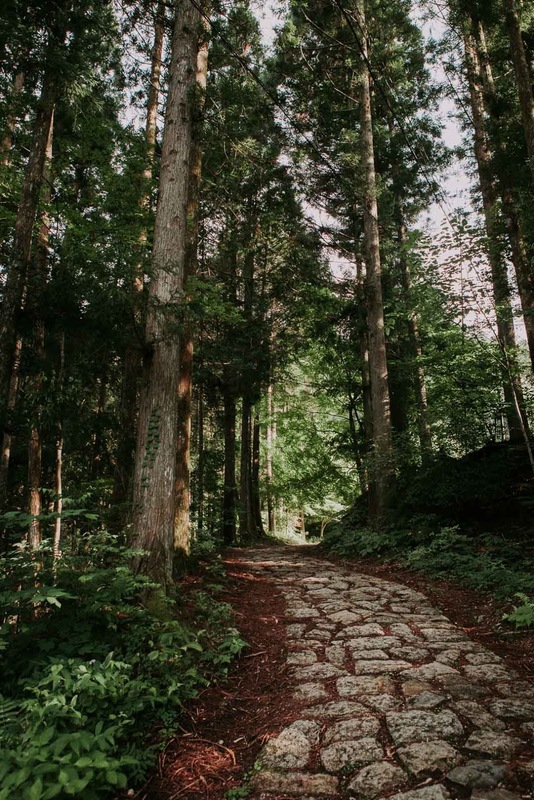 Here is the Nakasendo trail, a Samurai route from the Edo period that connects Tokyo to Kyoto. Today, several postal towns have been restored by local residents. The highlight is an 8km segment of the trail, which you can walk through the forest, hills and countryside. It's an easy hike. Or you can take a coach and choose to visit only one of the towns. I recommend the walk from Magome to Tsumago, because Tsumago is a nicer town to rest in, but also because the walk this way is a bit easier. You can do the walk either way, though. Top tip: rent a bell from the infomation centre if you go for the walk. Ring it along the walk to help keep bears away from the walking trails. At the end of the day take a complimentary shuttle bus and stay in the mountains in Tokonamiso (book ahead and ask for dinner and breakfast options). This will be a mini-holiday in itself as you get to relax, be taken care of and experience traditional Japanese hospitality and facilities. Soak your muscles in their outdoor Onsen (hot springs) overlooking the mountains. Watch the stars on their stargazing deck. Relax! Tip: Tsumago and Magome both shut at 5PM - there is no night life at all. No matter where you choose to stay, book your meals in advance. There won't be alternatives (restaurants, shops). The 2 highest rated western style hotels on booking.com are the Richmond Hotel Matsumoto and the Dormy Inn but I cannot recommend enough that you go to Tabi-shiro. This is a 2-year old renovation with heart, soul & amazing decor. It's a simple but beautiful Japanese stay. The owner, a young Japanese man called Kio, will make you feel welcome. Osaka is a foodie destination, and in this itinerary, it’s also a tactical stop. On the morning of the 6th day, catch the early shuttle from the guesthouse to the train station. Take your train to Osaka. This one is a long one - nearly 4 hours. So get your travel diary out and perch yourself on a window seat. Arrive in Osaka in time for lunch and head straight for the Dotonbori, an area by the river full of restaurants and shops. After lunch you can walk by Osaka Castle and the Keitakuen gardens. Ichiran Dotonbori serve cheap but good Ramen. Okonomiyaki Chitose do the famous Osaka Okonomiyaki (fried omelettes with noodles and lots of goodies inside), also cheap. 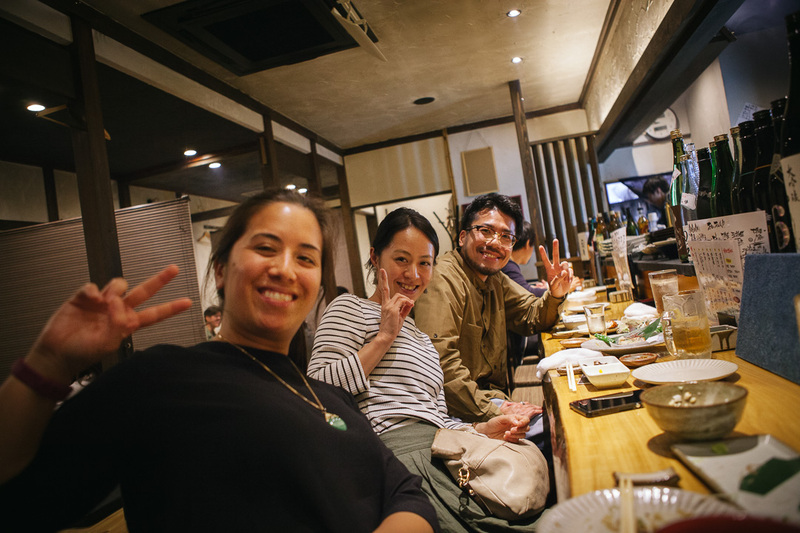 Most places to eat in Osaka are cheap and cheerful, with a variety of causal Izakayas (pub-like restaurants to drink and eat lots of little dishes). At the Dotonbori don’t forget to visit the crazy shop Don Quijote. Floors upon floors of the craziest little Japanese things, super cheap. This is where you stock up on Japanese paraphernalia to take back for yourself your friends. When you’re done, head to the Umeda Sky building for amazing views of the city at sunset. Or if you fancy skipping all of that, you can visit the Museum of Housing and Living. It’s a life-size model of a city (buildings and streets) from Edo Period. On day 7 you have 2 day trip options: Nara or Koya-san. 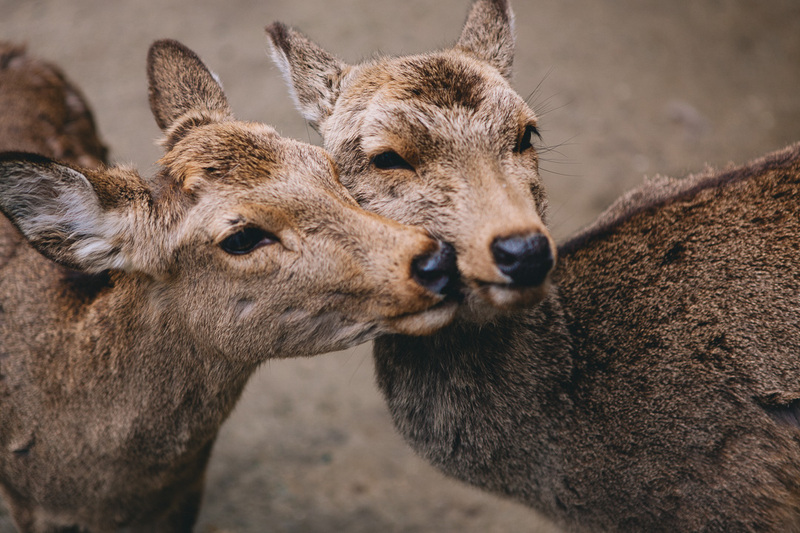 In Nara you can have long walks discovering the scattered ancient temples and Shinto shrines along Nara park, where the famous deer live. You'll see lush gardens and giant buddhas and feast on the most amazing Tuna sashimi at Maguro Koya (this looks like a greasy hole but is Nara's best kept secret. Shh! Don't tell anyone). Koya-san is a sacred mountain and the centre of Shingon Buddhism. Kobo Daishi (Japan's grand master of Buddhism) established his retreat here in 816AD. 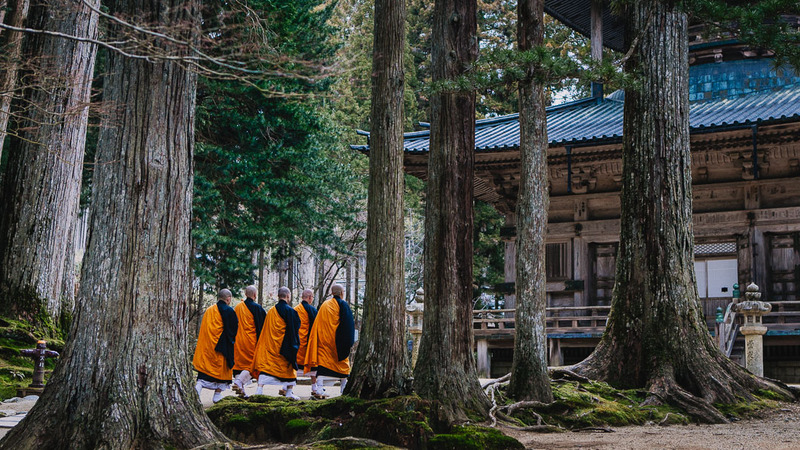 Today, you can visit several temples nestled in primeval forest as monks offer their prayers. 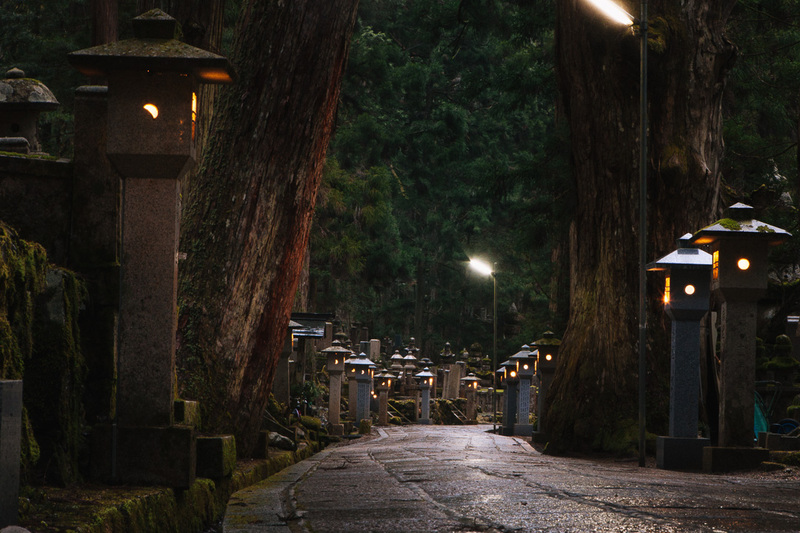 The Okunoin (Monk cementery) is an experience of its own. Walking through it will take you to the Hall of Lamps. Behind it is the Kobo Daishi Mausoleom. Not many first-time visitors choose to come to Koya-san so this is a different experience and a treat! 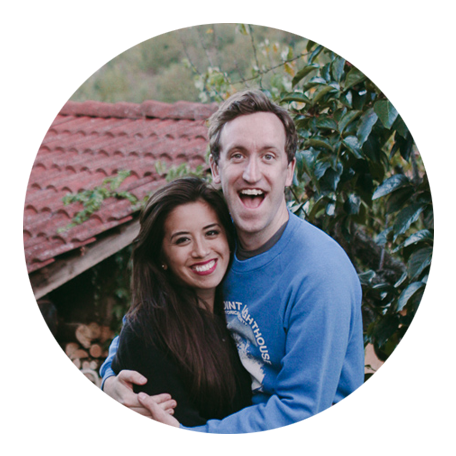 You can read all about our experience there on this post. If you're up for it, and for a heightened and much improved experience, stay overnight in a Shukubo (Temple lodging). Wake up with the Monks to chant and experience their bare cuisine. If you do this, you also get to experience Okunoin cementery at nightfall, which is by far my top experience in Japan. Whichever experience you choose, it will be unforgettable. We stayed at the fabulous Hotel Ichei. Right by Osaka station and within walking distance of lots of great things to see & do. Highly, highly recommend getting a Japanese-style room. If you look at a map of Japan you will think I'm crazy to suggest you head over to Hiroshima now. But you'll be surprised to know it only takes about 2 and a half hours. This morning, that's what you're going to do. Grab your bags and hop on a super fast train to Hiroshima. Leave your backpack at the station and head for Hiroshima Peace Memorial Museum. If you think Hiroshima is a sad place, let me break your prejudice now. Hiroshima is a prosperous city that has moved on from the A-bomb. Moved on, but not forgotten. Visiting it opened my eyes to history, to suffering but also to the beauty and strength of humanity. It is a humbling place and it must be in your itinerary. It won't take you the whole day, but take your time anyway. Make sure to stop at a little spot for lunch - anywhere where it's small and you can see a lot of locals hunched over food will be good. Ask for a Hiroshima Okonomiyaki. Now you can compare the Osaka vs Hiroshima styles! 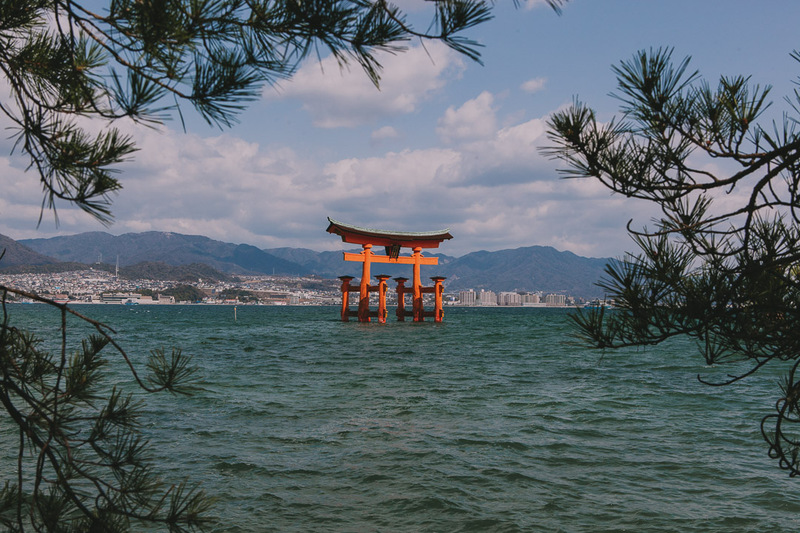 In the evening head to the harbour (hop on the San-yo line, about 25 minutes) and board a ferry to Miyajima island (10 minutes, less than $5). This magnificent little island is where you'll spend the night. You’ll arrive at dusk and it will be magical. You’ll be picked up by your hotel’s transportation at the port and, because the town is tiny, you’ll be dropping your bags and putting your feet up in 5 minutes. Make sure they feed you well before you head back out to see the little town at night when it comes alive. And make sure to get your picture of the red Torii at night too! The next day, check out some stores and the temples. Do a little exploration on your own. Buy some packed lunch and head up to hike Mount Misen. 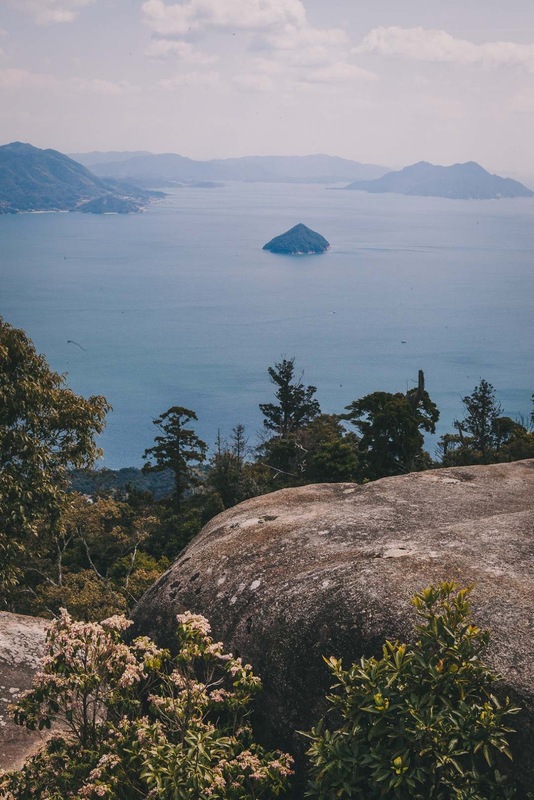 When you get to the top, get your lunch out and enjoy the views of the Seto inland sea! For this trip I recommend Momijiso, a very humble and rather affordable traditional Ryokan nestled in the primaeval forest ran by a husband and wife team. They’ll run you a bath before you head to bed. It's also super close to the start of Mount Misen ropeway. When you've come down from St Misen, start making your way back to catch the ferry back and then the San-yo line to Hiroshima. Get an Ekiben for dinner (train station bento) and hop on a train straight to Kyoto. 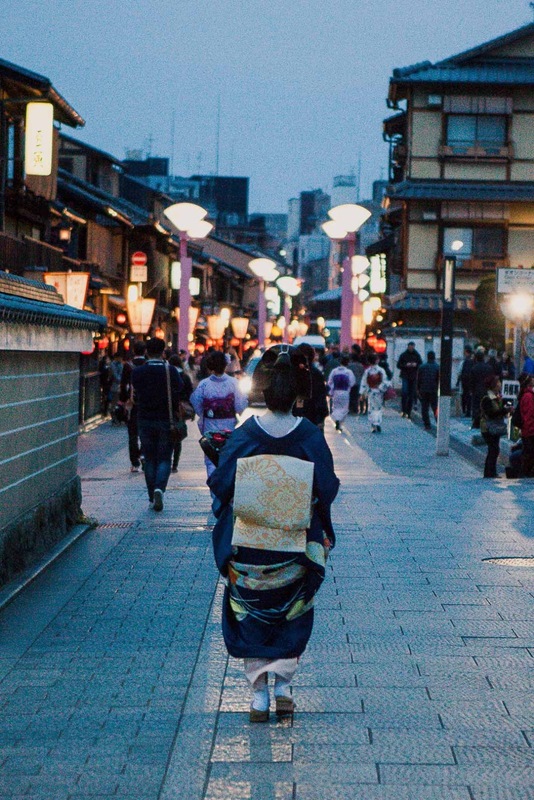 You’ll arrive in Kyoto just as the day ends, but that’s only when the fun starts! 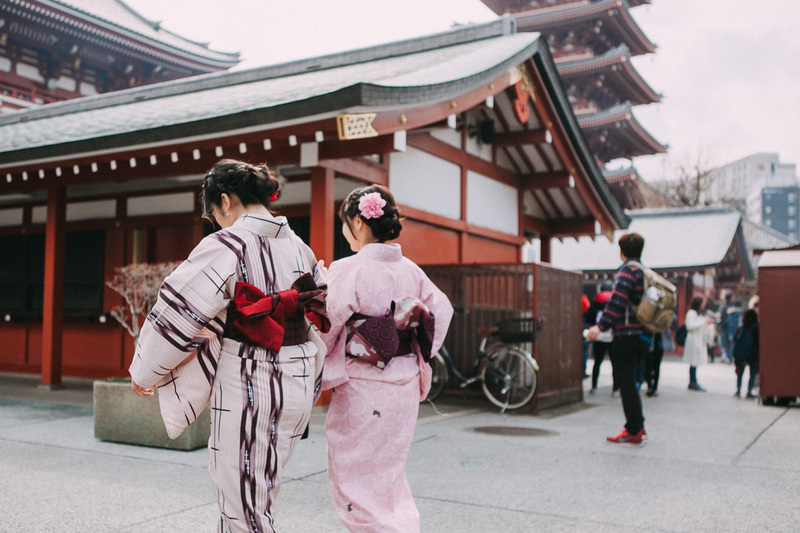 There are a lot of Kyoto itineraries out there so pick and choose what you like and explore. For now, just relax. 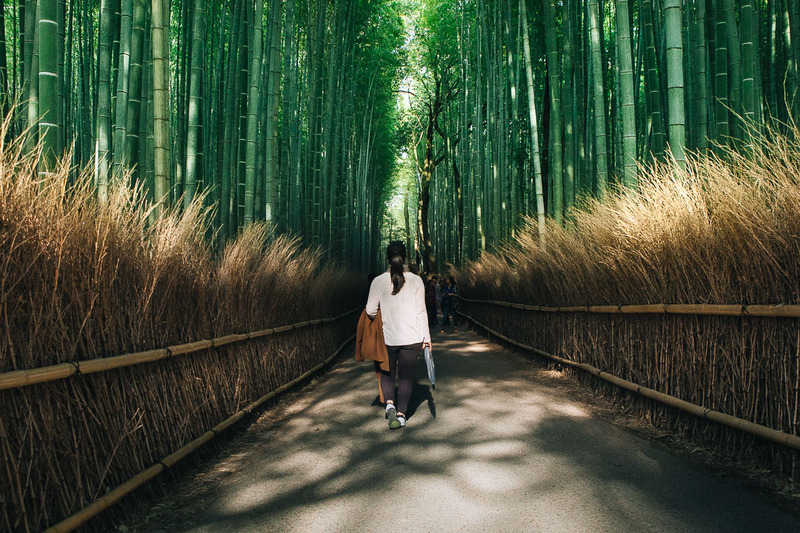 Whilst you're in Kyoto don't forget to see the Bamboo Forest (Arashiyama), the Golden temple (Kinkakuji), the Geisha distric (Gion), Kiyomizu-dera, Daigo-ji, Fushimi Inari Taisha and Tō-ji. My secret tip in Kyoto is that, after you're templed-out (will be around the end of 12) head on a day trip to a magical relaxing experience to Mount Kurama. You'l take a sweet little train up with an amazing view up the mountains. There, go for a light hike of Kurama-dera (very different temple to what you will have seen in Kyoto!). There won't be many people there, and you'll have much more spiritual experience. Enjoy the spectacular view at the top. The best part is when you're ready to come down: head to Kurama Onsen. There's outdoor hot springs overlooking the beautiful mountains and forest. Close to the Imperial Palace is the minimalist yet warm Bird Hostel. If you want something a bit more traditional (and have a bigger budget), stay at Kyo no Yado Sangen Ninenzaka. A third exceptional yet budget option is Mulan Hostel. You can get either bunk beds or private rooms. Day 14 is for onward travel & catching your inbound flight home. Where possible try to eat where the locals are eating! The Japanese do not have a tipping culture. If you tip them, they will follow you and chase you to return your money. Hope you enjoyed this post and found it informative! If you liked it, please share it with someone who will find it useful. If you've been to one of these places or have something to say - let me know in the comments below!